I was Born in Kuwait, Raised in Jordan and originally from Palestine. I hold a Jordanian passport, but I think of these three countries as my hometown. 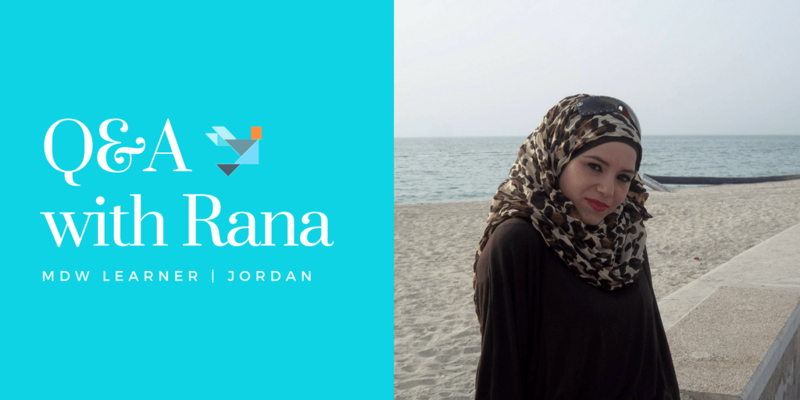 I work as a copywriter/digital marketer at New Arab Media, whose mission is to unlock Arab creativity and tell stories that represent the heritage and real identities of our users. I have a drawer in my desk at work which is full of chocolate and chips, Everyone in the company keeps making jokes about how I could open a supermarket with these things, and what’s more fun is that I can finish them all in one day, so yeah I love Chocolate. It would look like me sitting in a big office with a nametag written on the Desk “Head of Media”. Well, I wanted to learn digital marketing like ages before, and I took so many courses and stuff but not one of them was as much beneficial as this course. I started working as a digital marketer but did not have enough experience to fully handle all the stuff, so my company suggested that I would take this course to learn and grow, and I am so grateful that I did. What has been the most interesting thing you’ve learned through the course you are on? Well, since I am still in the first course, I would say that learning about the 4 Ps of marketing was really both great and fun. There are many things that I did not know before, and now I feel like I am more confident when it comes to this subject. No Yet, I’m hoping I will soon get the chance to apply what I learn in my work which is the reason why I took the course from the first place. Well, I take one hour from my working hours to finish the course, and sometimes I do the assignments on the weekend because they have a specific deadlines. Well, I would really recommend this course to anyone whose passion is to be a professional digital marketer, and let them know that this course needs focus, hard work and dedication.